love the sweater!! !so nice looks like jacket! 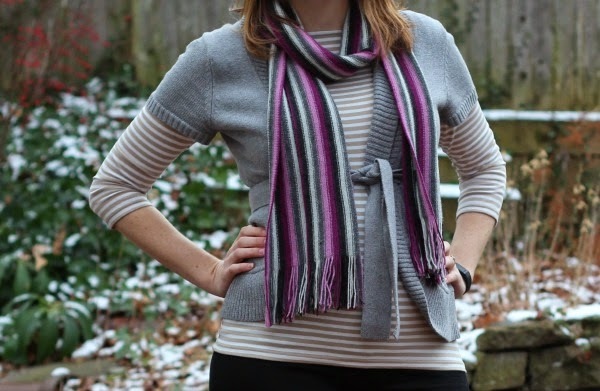 I love the layering of the striped shirt under your sweater! Very cute outfit! Such a beautiful striped scarf, it def. adds pizazz to your outfit!